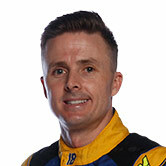 Prodrive team boss Tim Edwards says Mark Winterbottom’s remains positive despite last weekend’s Sandown 500. The defending 2015 title-holder said on Sunday night he may as well ‘peel the number one off’ his Ford Falcon FG X after a frustrating weekend that left him to finish 23rd with Dean Canto and saw him drop to fifth and 340 points adrift in the points tally. The Wilson Security Sandown 500 result followed on from a tough Sydney Motorsport Park event, which is becoming one of Frosty’s worst rounds on the calendar. While those on the Inside Supercars panel this week said Winterbottom was being negative and it was too soon to call, Edwards suggested his star driver was matter-of-fact about the championship and doesn’t want it to be a distraction. He said Winterbottom is “absolutely” positive looking forward to Bathurst. “I think people have interpreted it different ways and he’s copped a bit of flack unfairly really, it’s certainly not beyond our grasp,” Edwards told supercars.com. “People are always going to make emotional comments, particularly after a frustrating weekend like that. “My view is no different actually to 12 months ago – you don’t think about the championship at this point in the year, we need to be focused on winning every race we can between now until the end of the year. “The championship will either come our way or it won’t, depending on how other people do, so even when you’re in the lead of the championship you don’t really want to talk about the championship. As the old cliché goes, the championship takes care of itself when you are winning races. Prodrive needs to do more of that – Frosty’s last win was back in May at Barbagallo Raceway. 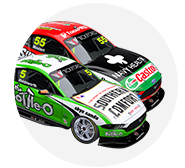 On his way to being crowned champion last year, Winterbottom had nine wins and an impressive second-place finish at the Supercheap Auto Bathurst 1000. Getting back to that kind of form is what is important for Edwards. “You just don’t want to this about it (the championship) – figuring out how to win every single race between now and the end of the year, that needs to be our focus. The championship is just a by-product of that. “So if we can win every race between now and the end of the year, we’ve done the best job we can and who knows what’ll happen with everyone else. Obviously it’s never nice to be chasing but if the person in the lead gets second in every one of those races we’ve won, then we won’t win the championship.